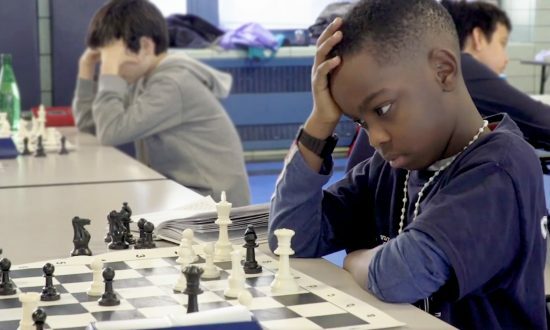 Tanitoluwa Adewumi, a Nigerian kid living as a refugee in the United States won the New York State chess championship for his category last weekend. Tanitoluwa won the trophy for kindergarten, defeating other third graders. Tanitoluwa reportedly learned chess a little over a year ago, yet praises of his exceptional skills go before him. He was taught by his part-time chess teacher at school, and within this short time, he has won seven trophies. Just eight years old, Tanitoluwa lives in a homeless shelter in Manhattan together with his parents and elder brother. His family fled Nigeria in 2017 because of the Boko Haram crisis, but are now settled in the US under very unfavourable living conditions while awaiting their asylum request. – Nicholas Kristof, NY Times’ columnist writes. 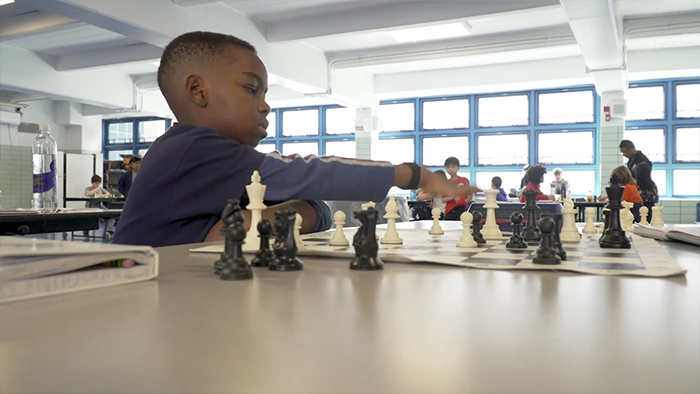 Tanitoluwa got enrolled in a local elementary school, P.S.116, where he first stumbled upon the chess game. Apparently, his wit inclined towards the game and with his mom’s permission, he joined the chess club. 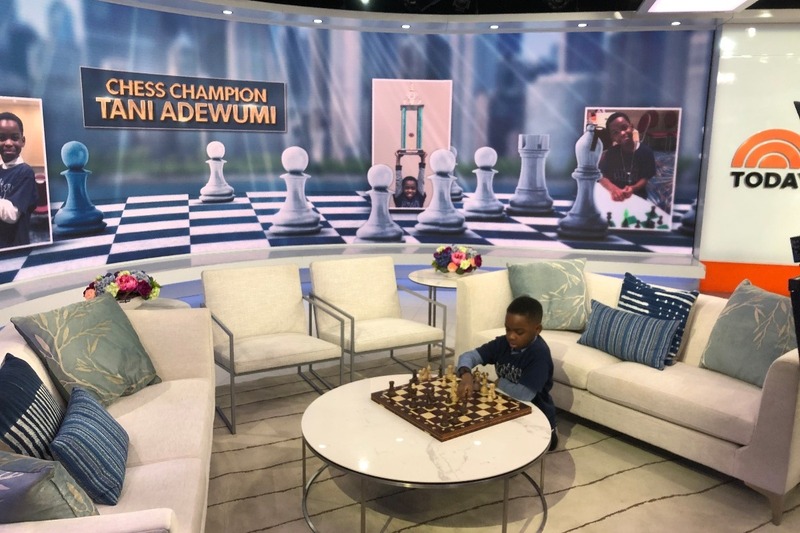 “I want to be the youngest grandmaster,” Tanitoluwa told Nicholas. Tanitoluwa could not afford the fees for the chess program for obvious reasons. His father is only an Uber driver operating on a rented car, but he has also become a licensed real estate salesman to support the family. His mom, Oluwatoyin Adewumi, wrote the chess club explaining their position and why she was unable to pay the fees. Seeing the young boy’s drive, Russell Makofsky who oversees the P.S. 116 chess program, waived the fees, giving the kid the opportunity to develop his talent for chess unhindered. Not relying on the power of his talent alone, his hard work sets an exemplary record. His mom takes him every Saturday to a three-hour free practice session, and she attends his tournaments. He lies on the floor of their shelter and practices chess for hours each evening, using his dad’s laptop. Indeed the kid’s drive is phenomenal. Despite the challenges his family is facing, young Tanitoluwa continues to display an exceptional character. Alas, the 8-year-old has turned to a celebrated chess champion in one of the greatest cities in the world. With his energetic drive and supportive parents, he is on the path to becoming a renowned world player. Tanitoluwa is currently preparing for the elementary national championship in May. Bugatti Celebrates 110th Anniversary with A Limited Edition Chiron Sport!